Southern Ute Agency Fire Management is planning a prescribed burn Monday through Friday in the Garcia Canyon/Round Meadow area of Archuleta County Road 700 (Cat Creek Road), about 16 miles southwest of Pagosa Springs. The burn will cover 4,800 acres on Southern Ute Indian Tribe land. The project is weather dependent, so exact dates may vary. The purpose of the burn is to reduce hazardous fuel accumulations and to improve wildlife habitat. 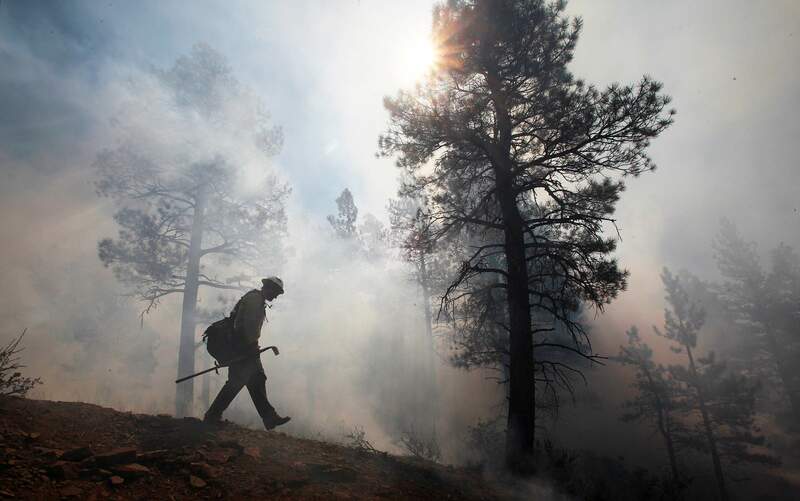 Smoke may be visible from Pagosa Springs, Arboles, the U.S. Highway 160 corridor and surrounding areas. During this period, the Columbine District of the U.S. Forest Service is also conducting a prescribed fire in the Fosset Gulch/Yellow Jacket area. Potential smoke impacts will be managed between Bureau of Indian Affairs and Forest Service fire managers. For more information, call the Bureau of Indian Affairs Fire Management Office at 563-4571.